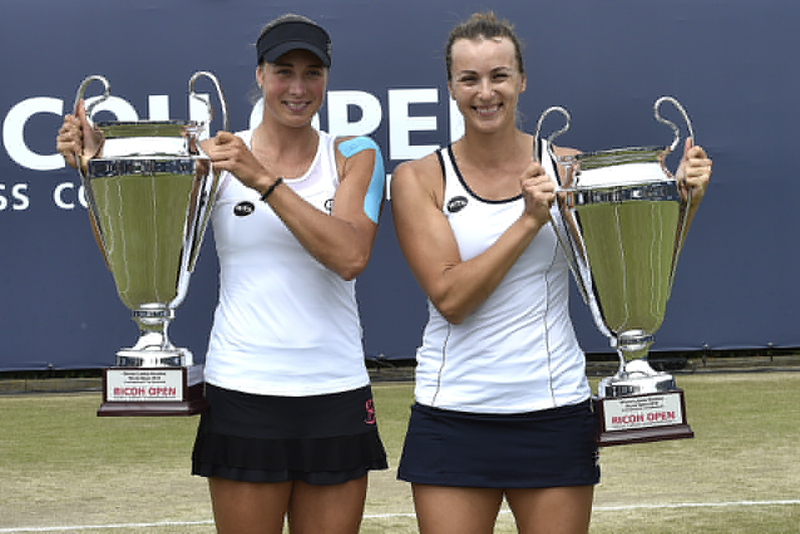 Yaroslava Shvedova and Oksana Kalashnikova are the victors of the women’s doubles at Rosmalen. The Kazijn de winnaressen van het vrouwendubbelspel op Rosmalen. The Kazach/Georgian pair rode roughshod over the Swiss/Serbian couple Xenia Knoll and Aleksandra Krunic with 6-1, 6-1. Shvedova and Kalashnikova cleared the only break chance against them and took five of the 14 created break chances themselves. In 46 minutes the match was over. In 2010 Shvedova, the number eight in the doubles, also won in the same discipline at the Autotron. A bit later she also won the women’s doubles title at Wimbledon. Kalashnikova played the doubles with Eygeniya Rodina at the Rosmalen grass and was defeated in the quarter-final.